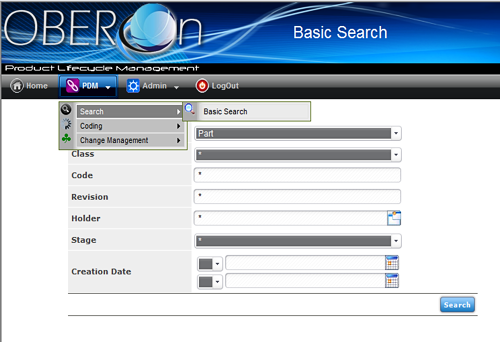 Oberon PLM is a Web based PLM/PDM, built on Oberon framework that facilitate its customization. 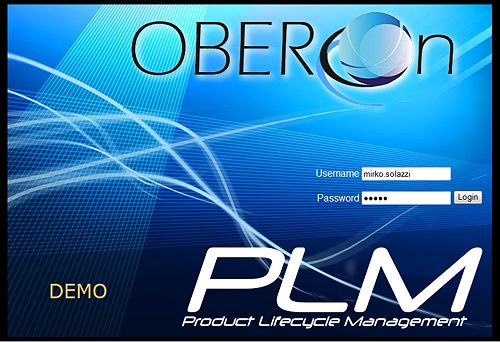 Oberon PLM integrates people, data, processes, and business systems and provides a product information backbone for companies and their extended enterprise. 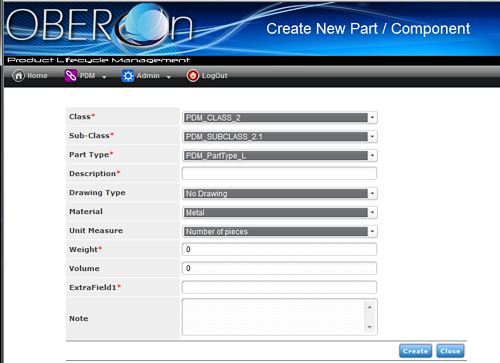 Part types are subdivided into classes and sub-classes. Specific (or Extra) attributes related to the component class/sub-class extend the basic properties. 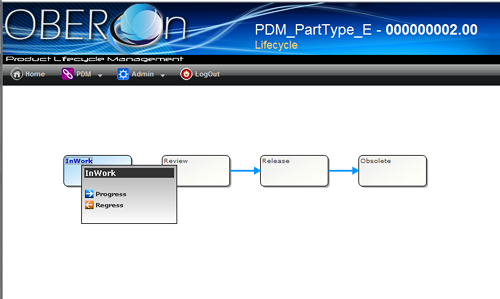 Show the object lifecycle and the current stage. 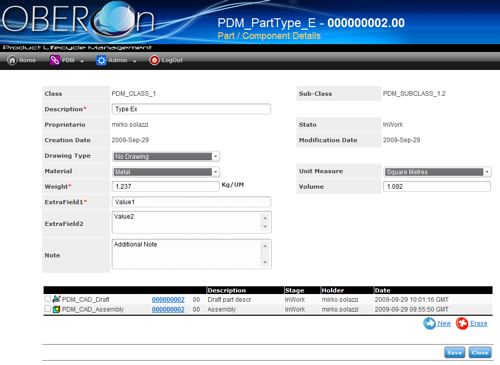 Let the enabled users to promote or regress the objects status.